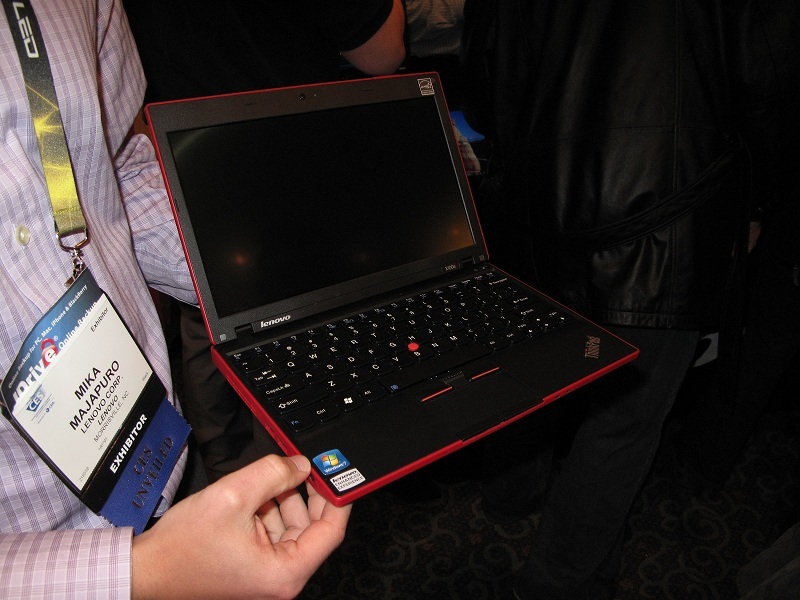 Today Lenovo has demonstrated initiative by showcasing their X100e notebook. 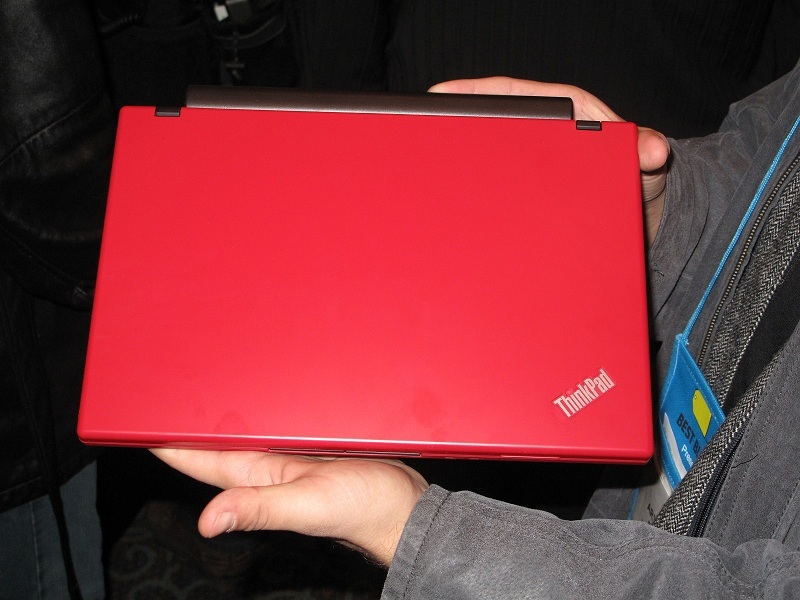 Despite its deceiving looks, Lenovo does not want the notebook to be called a netbook but an entry level 11.6 inch notebook. The model showcased in the pictures below boasts about AMD’s Athlon NV40 processor which is said to deliver better performance than Intel’s Atom processors. Furthermore, the X100e has a 1366 x 768 screen resolution and a multi-touch keyboard. You can grab one at Lenovo’s web site for $449. 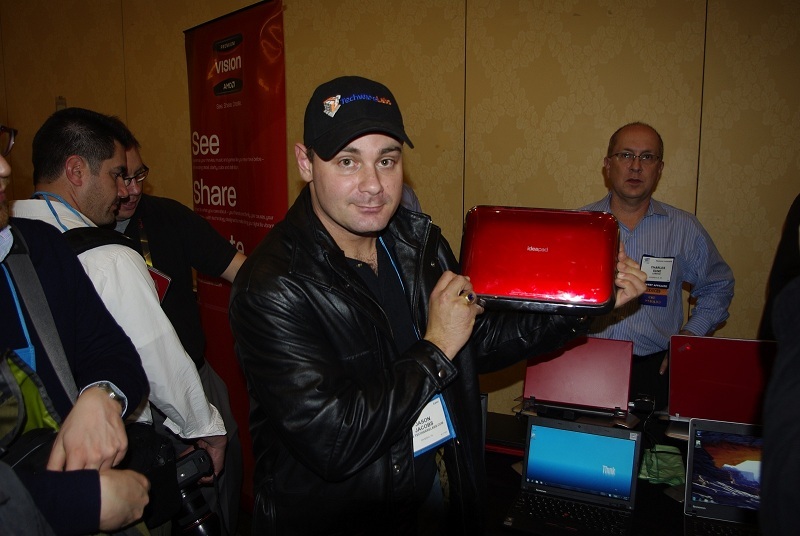 We were also impressed with the IdeaPad U1 which is basically a keyboard-less computer. The main form of input is the touch screen. The entire computer seems to be styled around the touch screen display. 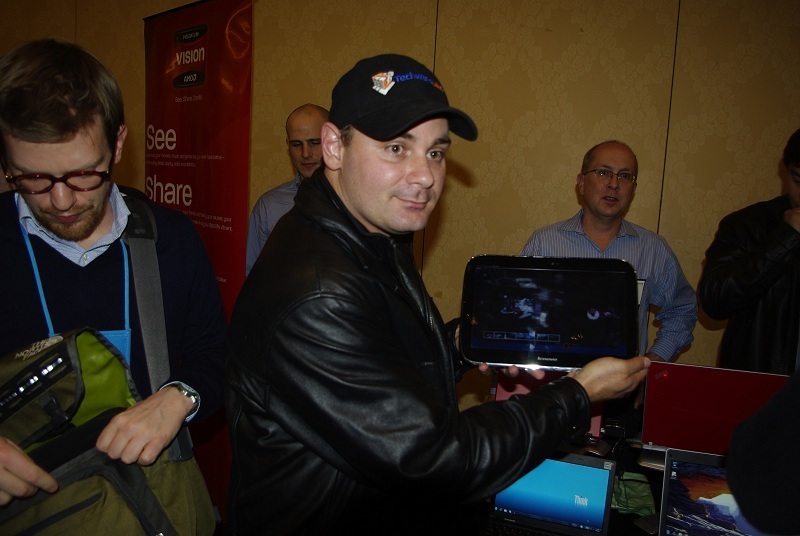 The computer itself runs on a Core 2 Duo SU processor with 512 MB of RAM. IdealPad runs Linux operating system as well as Windows 7 which can be seen in the pictures below. 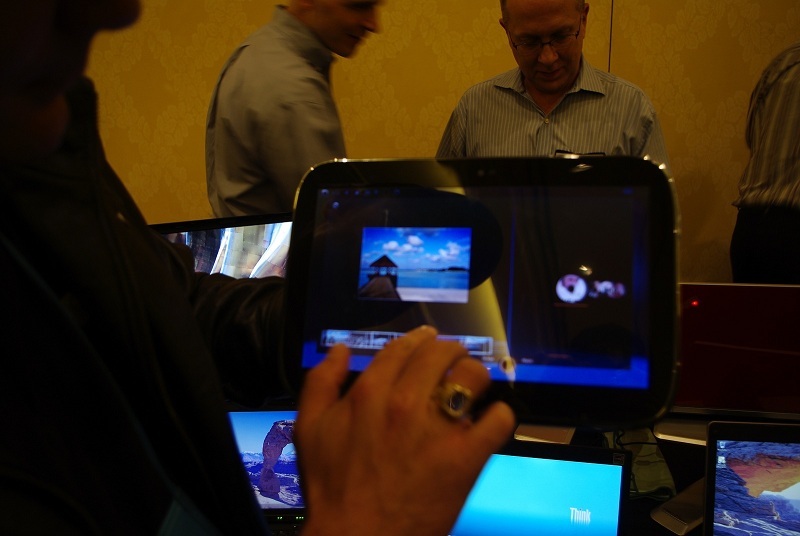 The tablet PC you are looking at is actually more of a two in one platform. The tablet portion being held by our Editor In Chief Jason Jacobs has a small docking plug at its base which allows it to be “docked” into a regular laptop base extending its functionality. Some basic information we do know about it is that the tablet portion has its own processor, storage, etc all based around an ARM or RISC processor. The docked version runs a much more robust set of hardware based around an Intel platform with additional ram, storage, etc. Design wise the IdeaPad is a very slick looking device with a polish smooth appearance, slighly plasticy in our hands but nevertheless a solidly engineered device. The U1 (as of yet not available on the Lenovo site) was recently announced and may change slightly from what you see the pictures above. It says it has corporate OS support, the biggest issue with these devices and their corporate OS support is that the drives and the proc are not very strong when it comes to encryption which many corporations require on the laptops. Most personal laptops people don’t think about it but should be encrypted too.